Cornerstone Connections is the Sabbath School Bible Study Guide developed for high school teens in the Sabbath School department at the General Conference of the Seventh-day Adventist Church. It is based on a four-year “through-the-Bible” study curriculum. The lessons are intended for teens to use in their daily Bible study and to provide the basis for learning and discussion in youth Sabbath School. Each lesson is based on a Bible story or scriptural passage and provides questions for deeper study, discussion, and supportive texts that highlight Bible principles, helping the young learners draw lessons for application. Andrea Nagy was born in Romania and grew up in a loving Christian home, where she learned to trust God and love Jesus wholeheartedly. When she moved to Canada, she studied music and prepared to be a teacher. After she completed her training, she taught for three years in an Adventist school near Toronto, Canada. Andrea serves as editor for the Sabbath School Bible Study Guides for juniors and teens (ages 10–18). She knows that the secret of success and true happiness is found in a genuine friendship with Jesus. Andrea’s desire is to help young people come to know Jesus as their personal Savior and Friend. Sabbath School superintendents can place a bulk order for print copies through the local Adventist Book Center or by calling toll free 800-765-6955. To order online for North America, the teacher's guide is here, and for the student Bible study guide, click here. To order for countries outside North America, the teacher's guide is on this page, and the student guide is available here. 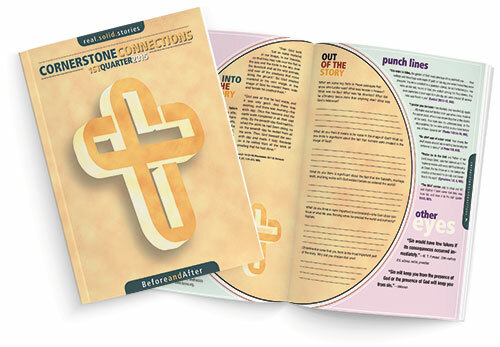 Cornerstone Connections is a four-year “through-the-Bible” study curriculum for young people in the teen years. 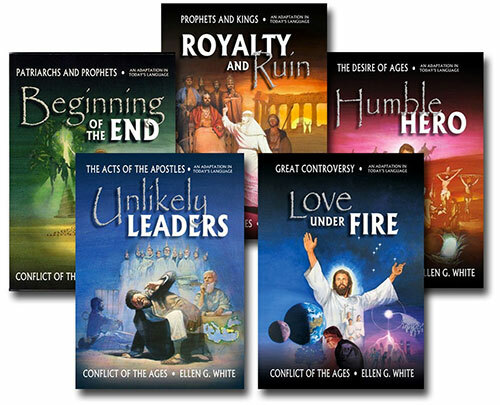 It uses Ellen G. White’s Conflict of the Ages series to offer commentary on the Biblical text. The White Estate is creating adaptations of these books for young adults. Read about the whole series here.